At a time when dairy farmers face continued uncertainty that impacts their farm businesses – from commodity pricing, input costs and global trade and market conditions – there remains one constant: a checkoff approach and business plan that works. A core element of that plan is the relationships that have been formed with major national and global food service and retail partners. More than 10 years ago, dairy farmer leaders directed national and local checkoff staff to take a new look at the checkoff’s business plan with a deliberate focus on growing immediate and sustained sales by partnering with those that use and sell dairy, versus traditional generic image advertising and marketing campaigns. It also means building relationships that align around and advance the shared values among farmers, partner executives and thousands of franchisee business owners. Based on this experience and the even stronger ties to partners 10 year later, I personally reached out to our partners this summer as farmers and U.S. dairy faced economic uncertainty once again. These conversations reaffirmed our approach and the value our partners place on their connection with dairy farmers. Of our four major foodservice partners, all committed to review their short- and long-term menu, marketing, advertising, and promotion plans to drive additional dairy sales on top of what was already in their existing plans. Over the next several weeks and months, partners are ramping up their menu development and innovation efforts for dairy and cheese-centric menu items on a scale we’ve not seen before. Our partners are confident this will capture the attention of their customers for the simple reason that they love dairy, especially cheese. 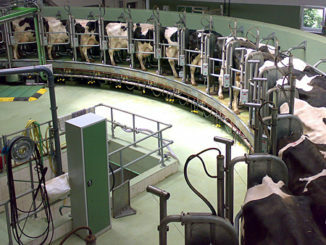 All these efforts will help drive sales of tens of millions of incremental pounds of milk over the next few months. And, to accompany these efforts, our partners are helping us bolster trust in dairy by sharing farmers’ and other dairy community stories on their social and digital properties. By doing so, they will showcase how cheese and other dairy foods are responsibly produced, the essential nutritional role of dairy, and the joy dairy brings to people through family, holiday and community gatherings. Plans include online video stories of dairy farm families that will reach nearly 100 million views weekly. In addition, our pizza partners are embracing the industry-wide Undeniably Dairy campaign and featuring the campaign’s logo on more than 13 million pizza boxes delivered weekly nationwide. For those who dine out, partners will display in-store videos, signs and other promotional materials that convey a simple, and powerful message that thanks dairy farmers for all that you do. National and local checkoff outreach extends further than our foodservice partners to help keep dairy top-of-mind. 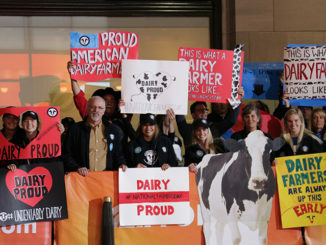 This includes more than 300 dairy co-ops, processors, manufacturers, and other companies and organizations that have helped amplify dairy’s story through the Undeniably Dairy campaign, including 100-plus companies that participated in October’s National Farmers Day. Checkoff also leverages other partnerships and relationships to share dairy’s story, from the National Football League and its players (partners in the youth-focused Fuel Up to Play 60 program) to dietitians, school nutrition experts, research partners and other influencers. By using and customizing Undeniably Dairy resources, the dairy community and other partners can share dairy’s story using their own voice, through their own vehicles to reach their own customers, consumers and constituents. Uncertainty remains a reality for farmers and our dairy community. But, even in uncertain times, there are some things that we know for certain. The partnerships we have built work – and so does your dairy checkoff business plan.